According to Regulation (EU) 2016/679 (General Data Protection Regulation or GDPR) we provide you with the due information concerning the processing of the collected personal data. This notice is provided pursuant to art. 13 of the GDPR and according to the provisions of the Directive 2002/58/CE, as amended by the Directive 2009/136/CE on Cookies, as well as according to the Provision on cookies of the Data Protection Authority dated 08.05.2014. The DATA CONTROLLER, pursuant to artt. 4 and 24 of the GDPR, is DXT Commodities SA, having its head office in Via Trevano, 2A – 6900 Lugano, Switzerland, as represented by the pro-tempore legal representative. – competent Authorities for the fulfillment of obligations of law, if required. The subjects belonging to the aforesaid categories act either as data Processors or in complete autonomy as separate data Controllers. The list of designated data Processors is constantly updated and available at the premises of DXT Commodities SA. – to third countries or international organizations on the basis of derogations for specific situations (art. 49 of the GDPR). You may exercise your rights pursuant to articles 15, 16, 17, 18, 19, 20, 21, 22 of the GDPR, by contacting the data Controller, by writing to the dedicated email address privacy@dxtcommodities.com. Without prejudice to any other administrative and judicial appeal, if you believe that the processing of your data violates the provisions of the GDPR, pursuant to art. 15 letter f) of the GDPR, you have the right to lodge a complaint with the Data Protection Authority and, with reference to art. 6 paragraph 1, letter a) and art. 9 paragraph 2, letter a), you have the right to withdraw the consent given at any time. 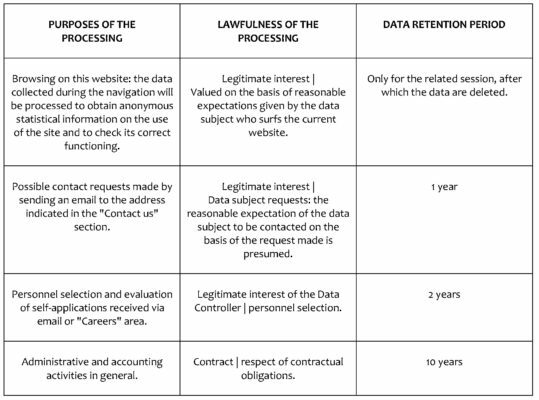 In case of request of data portability, the Controller shall provide you with your personal data in a structured, commonly used and machine-readable format, subject to the provisions set forth in paragraphs 3 and 4 of art. 20 of the GDPR.